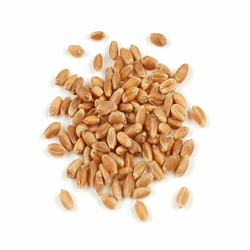 Wheat grain (Triticum spp.) is a major staple food that provides about 20% of food energy and protein worldwide. Wheat is also an excellent energy source for farm animals: in 2007, 102 million tons (16.7% of worldwide production) were used to feed animals.